Thank you for your interest in Upchurch Vineyard. Due to our limited production all of our wine is allocated to those who join our wine club. 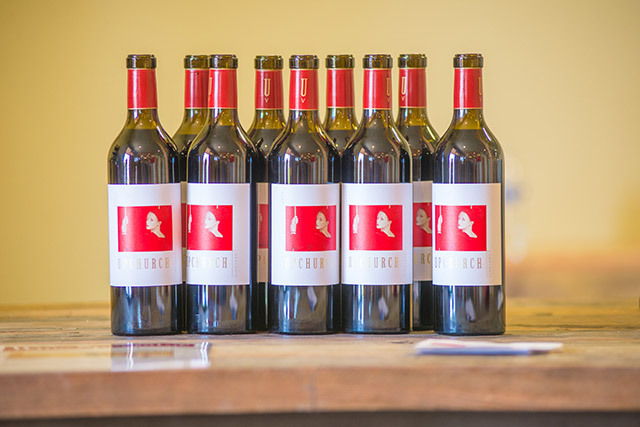 The 2016 vintage will mark a great milestone as we release the 7the Vintage of our Flagship Cabernet Sauvignon and the 2nd vintage of Counterpart! Chris and Thea are pleased to offer a limited amount of the Upchurch Vineyard Cabernet Sauvignon to our members. To reserve your wine, choose your desired allocation quantity below and then click join. If you are already a member, login at the top of this page to access your account. This is an annual offering and you will only be charged once a year. This wine is currently sold out. Please continue with your sign-up and as more wine becomes available we will allocate it on a first-come, first-served basis. Price is per-bottle, and does not include taxes.